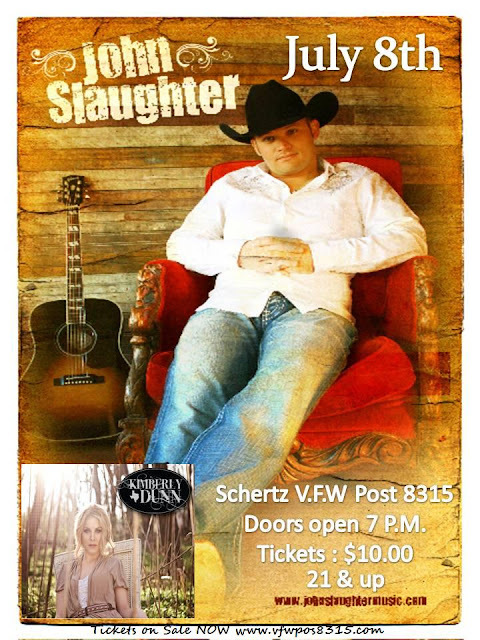 Get out and support Schertz VFW Post 8315 on July 8th!! Music to be featured by John Slaughter and Kimberly Dunn. Doors open 7pm ~ Tickets: $10 Available NOW!! Must be 21 and up!